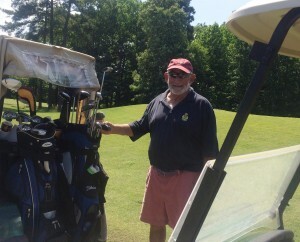 Everyone’s favorite character—Norman Sher (known to most as Normie)— shares a few, colorful memories from past Simon Family JCC Presidents’ Cup Golf Tournaments, as well as a bit of advice for rookie participants in this year’s tournament. Gaby: Hi is this Normie Sher? Normie: You got my whole body! Gaby: (Already laughing) Hi, this is Gaby with the Jewish News. Normie: Hi. Hello, Gaby. How are you? Gaby: Hi, good, thank you. I was wondering if I could ask you some questions about the golf tournament? Normie: Okay, I’m only capable of answering multiple-choice questions. Gaby: Oh, well, that’s unfortunate because these are anything but multiple-choice questions. Gaby: Well, I’ve been told you make your own Bloody Mary mix for the golf tournament. Normie: That’s what I’ve been told. Gaby: I was wondering when you started bringing this mix and why? Normie: It was a couple of years ago and it was because I…could… I thought it would be fun, and everyone liked it. Gaby: Do you have any tips you’d like to share with anyone about playing at the Heron Ridge Golf Club? Normie: Try not to cheat. Put your real score down. Buy lots of mulligans. And, um, try to keep your balls dry! (Norm breaks into laughter). Gaby: (Still chuckling to herself) I bet that does help! What for you has been the most memorable moment at the golf tournament these past couple years? Normie: Most memorable experience at the golf tournament was that I came in second place—when I thought I won. Gaby: How did that happen? Normie: I didn’t cheat as much as the other guy did. Gaby: Ah I see, I see. Normie: (Laughter commences) No, actually it was some “facacta” rule they had that we ended up in second place. And I’m a lousy golfer, by the way. Gaby: I appreciate your frankness—your honesty. Normie: The tournament has become a popular event, and we give decent prizes to decent players. We give good prizes for better players. It’s just a fun event. It brings the community together and we appreciate the support of all the groups and all the people that have continually come. It’s a wonderful community experience and it helps bring the Hampton Roads community together—not just the Jewish community. Gaby: Do you have a memorable experience from past years? Normie: If you’re going to go to the bathroom on the course, just make sure no one is watching. Gaby: (Containing laughter) That’s a very good tip! Normie: (Laughing) And, if somebody shoots a hole in one, I don’t believe it. Interested in trying some of Normie’s legendary Bloody Mary cocktails? Want to make hilarious memories while playing golf for a good cause with great people? Look no further than the 6th Annual Simon Family JCC Presidents’ Cup Golf Tournament. Registration starts at 11:30 am and the main event starts at 1 pm. Registration $180 per player, $720 per foursome. Deadline is Friday May 27. 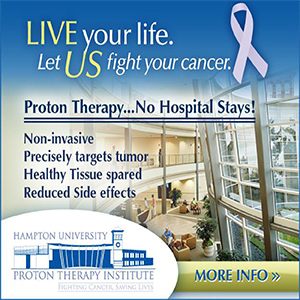 Register at www.SimonFamilyJCC.org or by contacting Corrie Lentz, assistant director of development and fundraising at 757-321‑2337 or CLentz@simonfamilyjcc.org. All proceeds from the tournament fund the Simon Family JCC children’s programs and Camp JCC scholarships.